And of course, we assume you do because you're here. 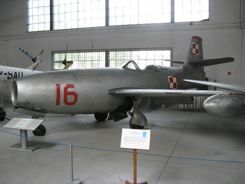 The Air Museum is in a suburb of Krakow at a historic airfield about 7 km (4.3 miles) east of the Old Town. 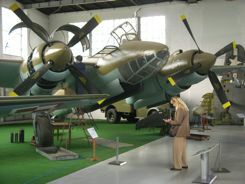 The museum took over a few buildings and part of the grounds of the Rakowice-Czyzny airfield, one of the oldest military airfields in Europe. It was an active airfield up through World War II. After that the expanding city of Krakow encroached on the field. The military moved out and, finally, so did commercial aviation. Activity at the airfield stopped in 1963. 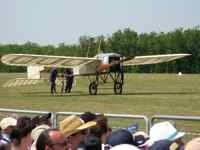 The outside aircraft are heavy on types not seen in Western Europe and North America. 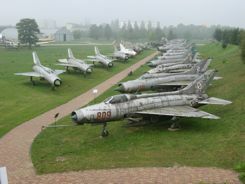 The outdoor lineup we call "MiG Alley" is impressive even if the aircraft have seen better days. Other outdoor displays include old Tupolevs, crop sprayers and Soviet-era rocket launchers. 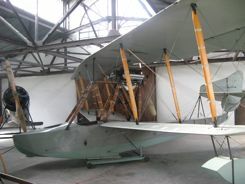 Most are not in great condition, but you won't see things like this at home. Two indoor displays had us running around with Mark saying, "I've never seen that before... only in pictures," or "I never thought I'd see that!" 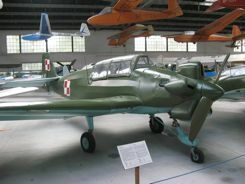 There will soon be a new building at the Polish Air Museum. We saw it under construction, and we'd love to see what the exhibits will look like when it's finished. You can take a taxi or a tram. From the center of town near the Main Railway station you can catch a number of trams.... We took tram Number 4 out and Number 10 back to the center of town. Don't go to the Czyzny stop... as we found out the hard way, this is a couple of stops too far. You can get off at the next stop and walk back… that stop after the museum is called VWA. Don't ask what that stands for... just get off at the stop if you missed the first one. Either way, walk a short way on Aleja Jana Pawla II, then a couple of hundred meters up a street called Mariana Markowshiego which goes through the park and up to the museum. The walk is about the same distance from either tram stop. The address of the museum is Aleja Jana Pawla II 39, but the museum is tucked into the Park Lotnikow Polskich and behind some apartments. It is open from 9:00 am - 5:00 pm Tuesdays through Fridays. Saturdays and Sundays the hours are 10:00 am - 4:00 pm. The gates and ticket office close 30 minutes before closing time. The museum is closed on Mondays, but you can walk around the outdoor exhibits. 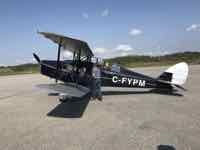 Try to get there on a day when the buildings are open; the really old aircraft are all inside buildings. 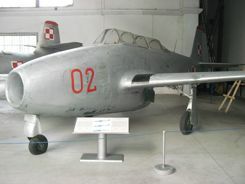 If you like aviation history and old planes, take a half a day away from Old Town Krakow and visit the Polish Aviation Museum.